Ready for a good old-fashioned “thrift store finds” post? It’s been a while, but thrifting season is heating up and I’m ready to show and tell. And boogie! It’s electric. Boogie woogie, woogie! I started humming that Electric Slide song, Electric Boogie, as soon as I picked up this Philcotron AA glass battery jar last week and I haven’t stopped since. Get. Out. Of. My. Head. I never did learn that dance correctly. I was always the girl in the back row on the dance floor trying to copy the people in front of me, so I didn’t look like a darn fool. I wanted to get it right, but this girl’s feet have got no rhythm. 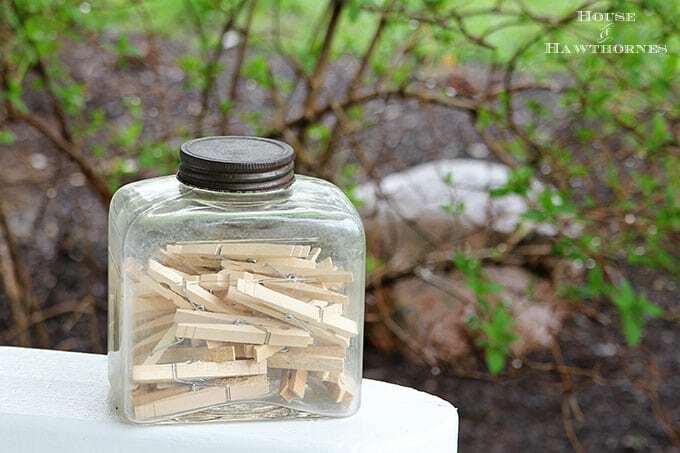 The clothespins were added just so you could see the writing on the jar better, but I don’t think it worked out too well, since it’s still hard to make out the name. Believe me. It’s a battery jar. 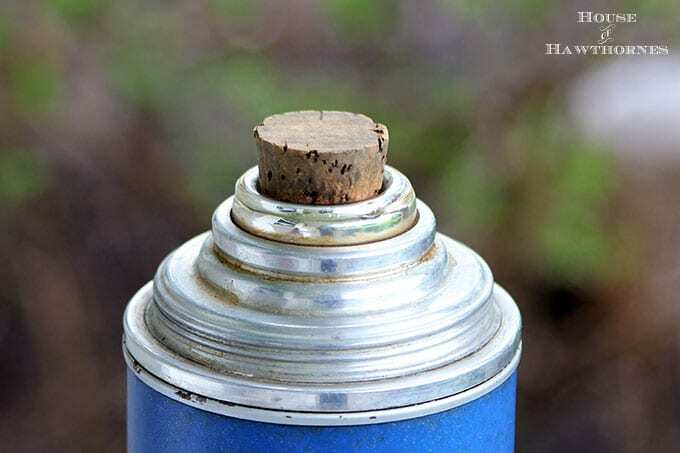 I found a site dedicated to Antique Battery Jars if you’re into them. I’ve been sort of intrigued by them for a while, but this is actually the first one I have ever found out in the wild, so I was sort of excited to see it setting on the shelf at the thrift store. In my quest to buy every single thermos every produced, I nabbed this Keapsit Thermos from The American Thermos Bottle Co a few weeks ago. I think it’s going to look super cute and patriotic with a few flags sticking out of it for 4th of July decor. Look it has a cork stopper!!! I know! I get so excited about a piece of cork! You have to see me when I pop the cork on a wine bottle! And I found this amazingly ambiguous vintage metal serving tray last week. The lady selling it said it was a holiday tray. I see gladiolus or day lily, but maybe it’s a poinsettia or amaryllis? When I asked on facebook and instagram it was pretty split 50/50 whether it was a Christmas tray or not. Christmas tray? 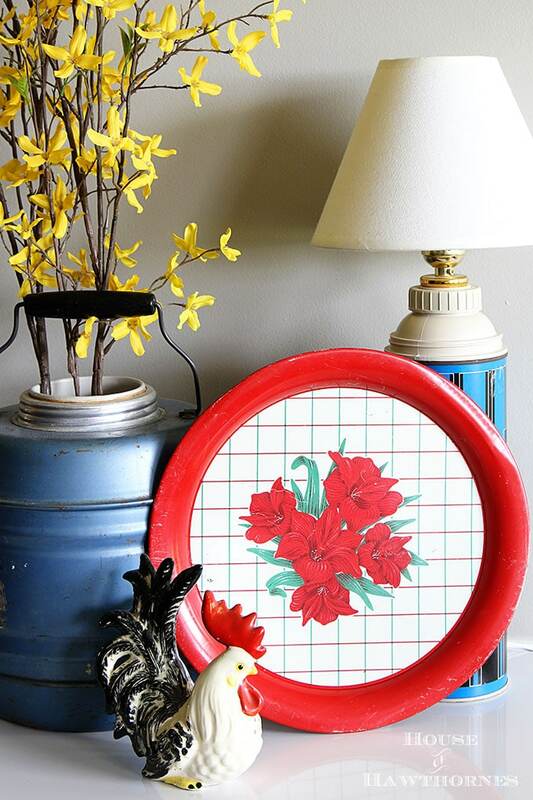 Or just cool vintage looking tray that can be anything you want it to be, Pam? OH that battery jar is a real find, Pam! I’ve never seen one! And I think that thermos will be perfect with flags in it! Is it bad I’m already thinking of 4th of July? I think I’m just dreaming of warmer weather! Amaryllis. Which is supposed to be for Christmas, but mine blooms in July. Go figure. Fabulous jar and I’m absolutely smitten with that thermos. I still want Chris to make me a thermos lamp for our lake house based on what you shared. Happy thrifting season! I’m noticing estate sales are really picking up again. Woo hoo! I’ve got three estate sales to go to this weekend plus numerous yard sales!!! Two weeks ago there was NOTHING!!! I can’t wait! As in everything to do with mules? That sounds like fun! I’m obsessed with vintage thermoses. 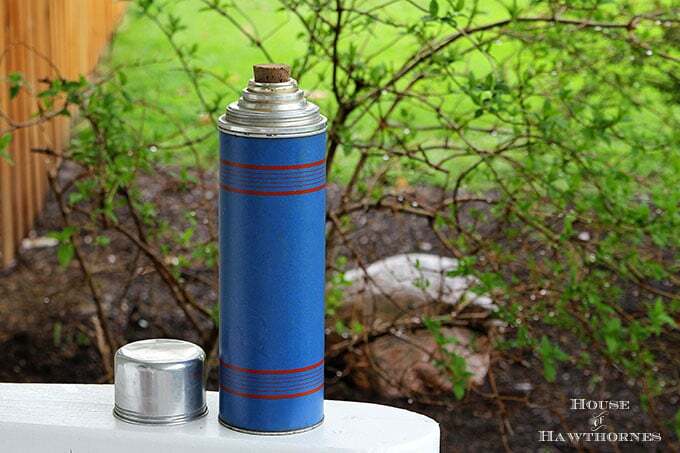 I have an American Thermos Bottle Co thermos just like yours with a cork except mine is tan with a red & black stripe! Great finds! I love that cork stopper, too. Just enough quirkiness. And I vote amaryllis. Supposed to be Christmas, but I don’t think the tray looks particularly Christmasy, either. This is actually the first battery jar I have ever seen. It is cool for sure. 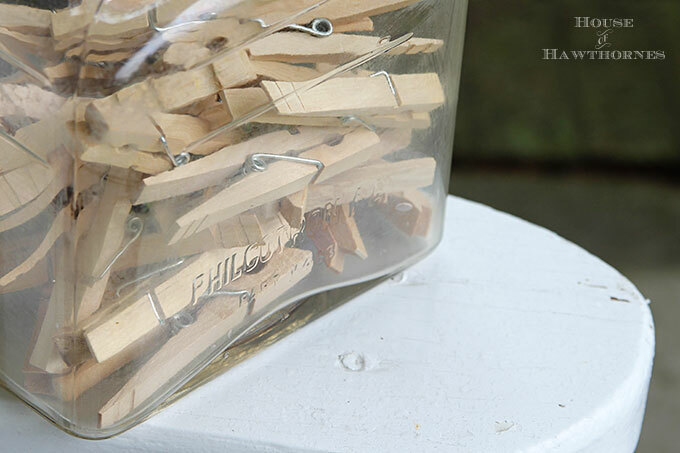 Love clothespins inside it too. The 4th of July is my favorite holiday to decorate for. I must find that thermos!! I’ve never seen that one before! Sounds great. I’m going to guess you are a teacher 🙂 Ok, a nurse may make more sense.